Hi there! 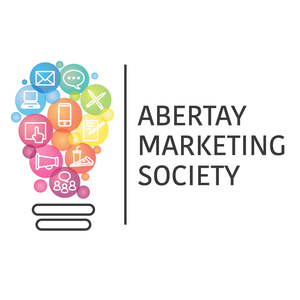 We are the Abertay Marketing Society! We would like to invite everyone who holds an interest in Marketing to join us and enhance their knowledge, gain some practical skills and of course, have some fun! You don't have to be on the Marketing course! Marketing is important in every industry, whatever your degree is! We will organise guest talks and workshops on various marketing topics in cooperation with local marketing companies. We also want students who have done a marketing internship to share their experience and talk about internship opportunities. Don't forget the social events! We'll be meeting for pub socials such as pub quiz or beer pong! We aim to organise an event every month! All this for just a £1 membership fee!